What do you get when you combine the naiveté of Fun.’s lyrics, Grouplove’s consummate cheery disposition, and the permanently joyous instrumentation of Apples in Stereo? Too. Much. Happy. You heard right, there’s a band out there that takes charming and sweet to levels that not even I can handle. Keep in mind that this is coming from someone who was disappointed by the newest Los Campesinos! record because it’s too depressing. Recommended to me by my younger sister, I should have known what I was getting into with Rabbit!. The band’s exclamation point-suffixed name should have been the first hint. A quick look at Connect the Dots’ song titles should have been enough to warn me off (“Magic,” “Ladybug,” “Pea,” “Jellybean,” and “Candy From A Car 2” is what we’re dealing with here). Still, I ignored the warning signs in my never-ending quest for new music. As it turns out, my total possible jubilation is limited. Thanks to Rabbit!, I’ve been shown exactly how much. 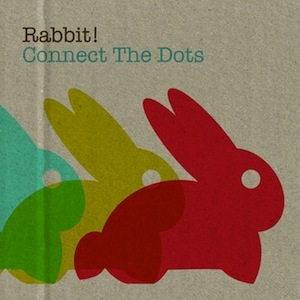 Tags: Connect the Dots, Rabbit!